Welcome to the Sports School of North Jutland (NIH) - a different and very exciting way of going to school! Welcome to Denmark's perhaps most beautiful folk high school with highly motivated and well qualified teachers, who are much more than just your teachers. 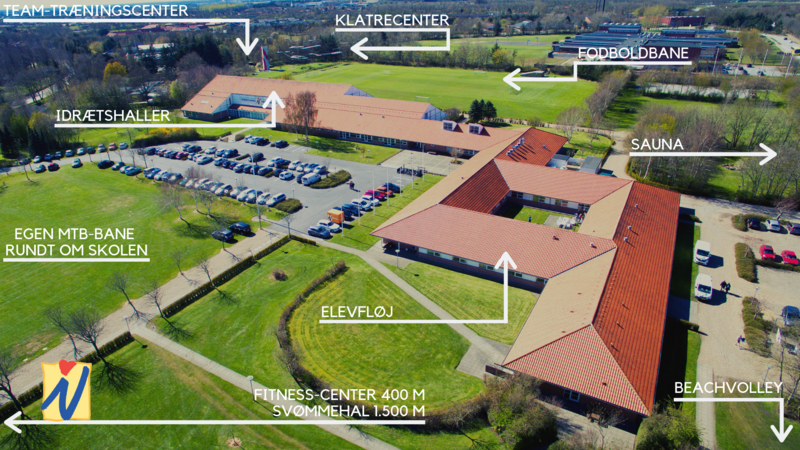 Nordjyllands Idrætshøjskole has state-of-art sports facilities, for instance, large sports hall, gymnasium with pit, auditorium with big screen and surround sound, ball game fields, street basket field, beach volley fields, adventure area etc. Our school also has the most modern accommodation facilities including toilet and shower in all rooms, and the students' wings have their own living rooms/kitchens. Read more about our prices here.